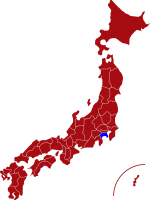 Kanagawa Prefecture is located on the south coast of Honshu and within very easy access to Tokyo. The prefecture has many beautiful sightseeing spots and places of historical importance. 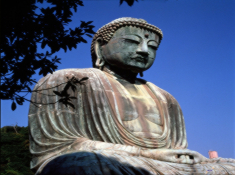 One of the most popular tourist attractions is the Daibutsu (Great Buddha) of Kamakura which was completed in 1264 and is a national heritage item of Japan. Kanagawa is also the home of Hakone, one of the most famous and popular hot spring (Onsen) resorts in Japan. From Lake Asahi visitors are treated to breathtaking views of the iconic Mt. Fuji. Yokohama is the capital of Kanagawa and the second most populous city in Japan after Tokyo. The city is renowned for its vibrant night life and for the wide variety of international culinary delights, including the many different types of Chinese cuisine that can be enjoyed in Yokohama’s famous Chinatown. For more information about Kanagawa prefecture, see their official tourism website. The Great Buddha of Kamakura is the second largest Buddha statue in Japan and one of the country's most historic landmarks. 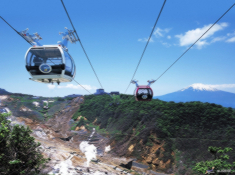 Hakone Ropeway is the perfect way to enjoy the picturesque views of Hakone and mountainous landscape. Lake Ashi & Mt. 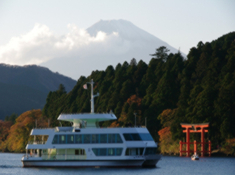 Fuji - A boat trip on Lake Ashi is the perfect way to enjoy the stunning scenery and view of Mt. Fuji. 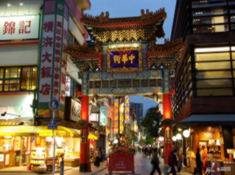 Yokohama China Town is renowned as being one of the best places in the world to enjoy a huge variety of regional Chinese cuisine.